Iran’s foreign ministry has summoned the Dutch ambassador to Iran Jacques Werner in protest to an attack by anti-revolution and separatist elements to the Iranian embassy at The Hague Monday afternoon. 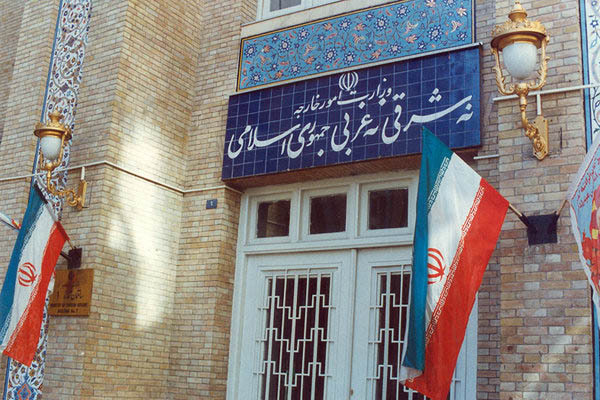 Ina meeting, the director of the first department of western Europe at Iran’s foreign ministry referred to the occurrence of similar attacks in the past and the lack of decisive and pre-emptive moves by the Dutch police and judicial officials, calling for serious moves by the Dutch government to provide the embassy and Iranian diplomats with security and prevent such attacks, within its obligations under the 1961 Vienna convention. In turn, the Dutch ambassador expressed regret over the incident, delivering a report on the reaction and measures of the country’s police against the perpetrates. The ambassador said he will inform the Dutch government about Iran’s protest.